being MVP: The Young Scientists Club: Clifford Kitchen Science Kit & Giveaway! The Young Scientists Club: Clifford Kitchen Science Kit & Giveaway! My daughter received the Clifford Kitchen Science Kit from the Young Scientists Club. It is one of their Science Kits for Little Hands, and is designed for ages 3+. My daughter just turned five years old and she adores Clifford the Big Red Dog. She came home from preschool recently telling me about an experiment that they had done where the class made a ‘volcano’ and got to watch it erupt. She was really excited about it so I told her that we could make our own at home. 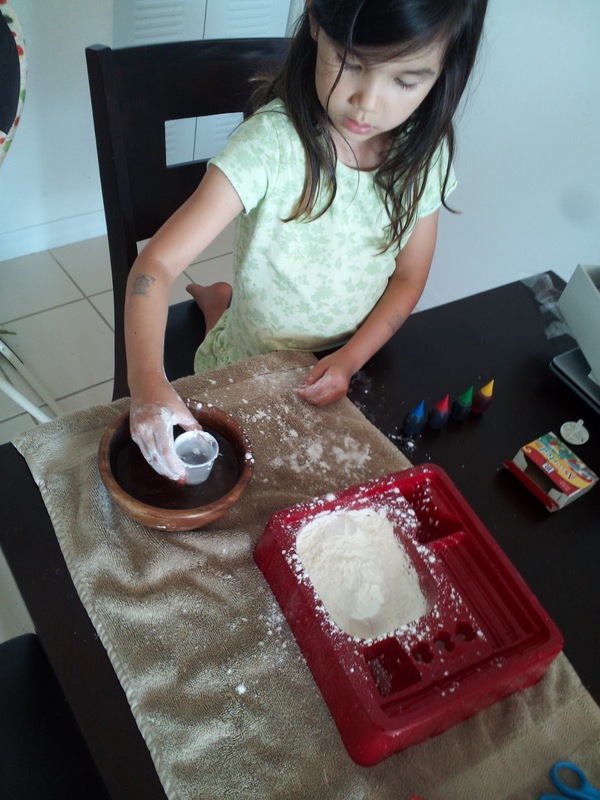 I have been working with her on math and reading skills to prepare her for kindergarten, but I realized that we hadn't been doing much in the way of science activities so when I found the Kitchen Science Kit, I thought it would be perfect. The kit does not include some of the ingredients which are needed for many of the activities, but for the most part, the majority of the items you’ll need are probably items you have around as household staples. I had to go out and buy a couple small things, but most people have vinegar and food coloring in their cabinets already. I was excited to try the volcano with my daughter, but she was more eager to experiment with some of the other activities which were new for her. 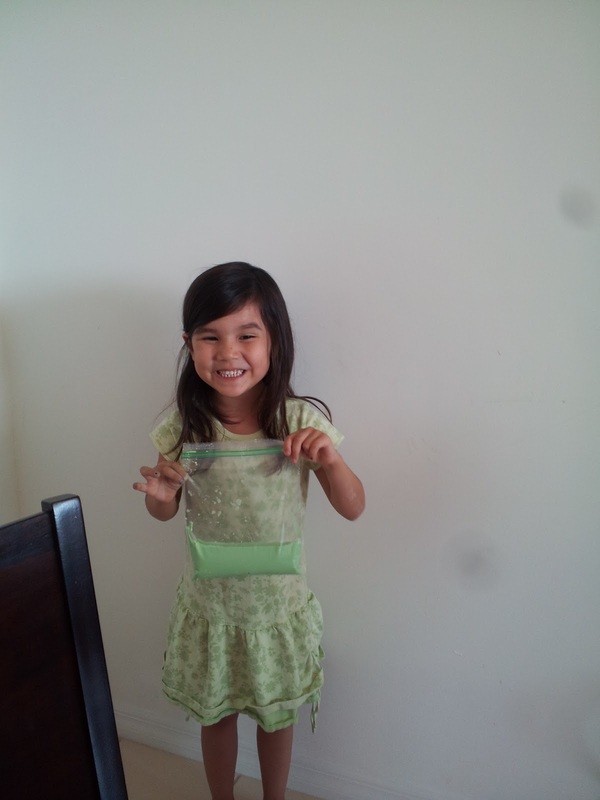 She wanted to make the slime. I was a little weary of this activity because I was worried about the mess that it would create, but it was actually surprisingly easy to clean up. We gathered the necessary ingredients for this activity which are cornstarch, water, and food coloring. My daughter was so excited that she was able to mix two different colors of food coloring (yellow and blue) to make green. Ashlynn had so much fun playing with it and we were actually able to have a great conversation about the difference between solids and liquids. She was so happy that she could store the slime in a Ziploc and it would stay fresh until tomorrow! I bought my kids little mini bananas at the supermarket, and at first they were really excited about them, but after they tasted them, they changed their minds. So I decided the mini bananas would be just the thing to use for the experiment where the fungus (yeast) eats a banana. We put one banana in one ziploc and the second banana in a separate ziploc with yeast so we could compare and observe them over a few days as the fungus ‘eats’ the banana. We learned that yeast is a decomposer and Ashlynn had fun checking on her banana throughout the day. 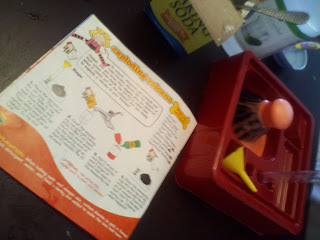 There are so many other activities in the Clifford Kitchen Science Kit. Kids can grow their own crystals and make their own glue using milk and vinegar. My daughter had fun using scientist items that were included in the kit such as funnels and test tubes. She did an activity using yeast that bubbled up and out of the test tube. Ashlynn also enjoyed making sticky ice and painting crystals onto a glass. The best part was that it was sparking her curiosity about nature and physics and she was asking a lot of interesting questions about things. We finally did do the volcano and she loved watching it erupt. It was actually super easy to clean up because all of the mess was contained in the lab tray and the whole thing went right into the sink. I have been thinking about activities that we can do at home this summer and I think some of the experiments in this kit will be perfect. I plan to sign my daughter up for the Young Scientists Club’s Magic School Bus Science Club where my daughter will receive 12 monthly science kits delivered to our home. There are many different topics, such as magnets or fossils, that I’m sure Ashlynn would love! The Clifford science kit recently won the Tillywig Toy & Media Brain Child Award, which is given to exciting products that blend fun and education. These kits would be perfect for any child who loves science, especially for a home school family or even for a classroom teacher. I was also thinking the science kits would be perfect for my daughter’s next birthday party. Also, fans of The Young Scientists Club on Facebook can find free experiments every week! Buy It: You can purchase the Clifford Kitchen Science Kit for $19.99. Make sure to connect with The Young Scientists Club on Facebook and Twitter! The Wonders of Nature kit, Kitchen Science kit, Rainbow Science kit and Bubble Science kit! I'd enjoy making the Volcanoes (Kit 6) with my oldest son. Science on a Gardening Adventure looks fun! Science on a Nature Walk! Famous Scientists and Their Experiments (Kit 36) Thanks so much for the fantastic giveaway! I also liked the nature series! Thanks for this giveaway! i looove the magic school bus science club. it looks like so much fun. I like the subscription service! I Like the Magic School Bus Kits! I like the monthly Magic School Bus kit. The Science on a Nature Walk Kit looks fun. Id love to join the Magic School Bus Science kit club! I def like the Clifford sets the best. My little guy loves him! I like The Magic School Bus Science Club. I like the Magic School Bus Attracted to Magnificent Magnets kit. My son loves magnets! I like the Awesome Bubbles....we would have a lot of fun with that! 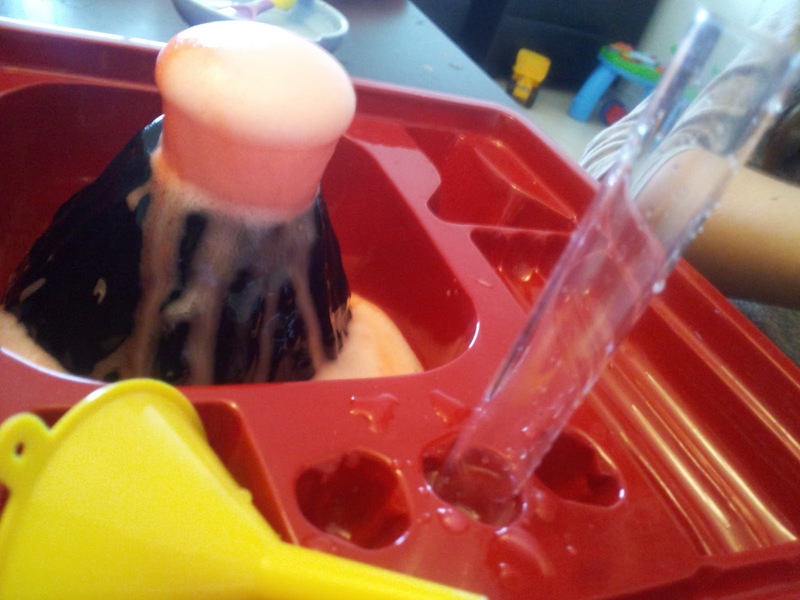 Weather & Solids, Liquids, and Gases & Volcanoes looks fun too! My daughter would love the bacteria kit. She's all about the gross stuff! I like the Bacteria & Fungi Magic School House Kit. I like that they have a magic school bus science club you can join. I love the magic school bus stuff, but my favorite would be the bubbles that you are giving away. The Seeds, Fruits, and other Plant Parts kit sounds great! I like the Magic school bus, Science on a Tracking Expedition.